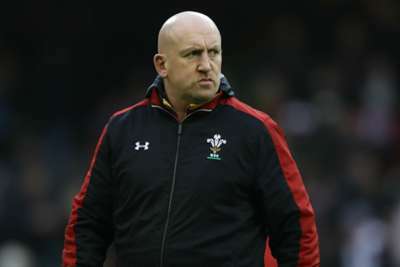 Wales rugby union defence coach Edwards was set to link up with the Super League side and take over from Adrian Lam later this year, although in March it was confirmed only an "oral agreement" was in place. The 52-year-old explained his change of heart in a club statement on Monday, insisting there was no financial incentive to backtracking on the deal, despite recent links to the England and Wasps jobs. "After much thought and deliberation, I wish to clarify my situation," he said. "I will not be taking up the head coaching role at Wigan, the reason being my lack of preparation. "I feel Wigan need a more experienced rugby league head coach than myself to give the club and the people of Wigan the best team possible. "The Wigan deal I recently received is very favourable to all other offers I have had so far. For me, this is not about money, this is about Wigan Warriors getting the best man for the job which, at the moment, I feel is not me." Wigan chairman Ian Lenagan admitted his surprise at the news, adding: "[Edwards] clearly feels that he is not the best man to take the team forward currently and I have to respect and accept this. "Like every Wiganer, I wanted Shaun to lead the team and this very honest admission has taken me by surprise. I have always admired Shaun and I wish him well with whatever he does next."